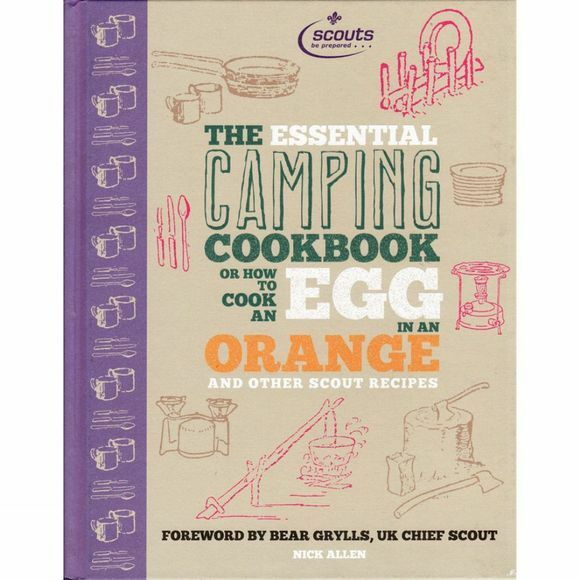 Drawing on the know-how and expertise of the Scout Association, this inspirational cookbook takes the art of eating outdoors to a whole new level How to Cook an Egg in an Orange is perfect both for beginners in al fresco cooking as well as seasoned campers. There are step-by-step guides to explain all the essential techniques needed to make a glorious feast whether you're at a festival, camping, 'glamping' or just on a day trip to the beach – including how to cook backwoods-style, without conventional equipment, on open fires, in pit ovens and using improvised utensils. Alongside traditional campfire favourites, you will find recipes for curries, spicy stews, couscous, exotic BBQs, risottos and delicious one-pot dishes. Now turn to the popular campfire songs at the back and your outdoors eating experience will be complete!